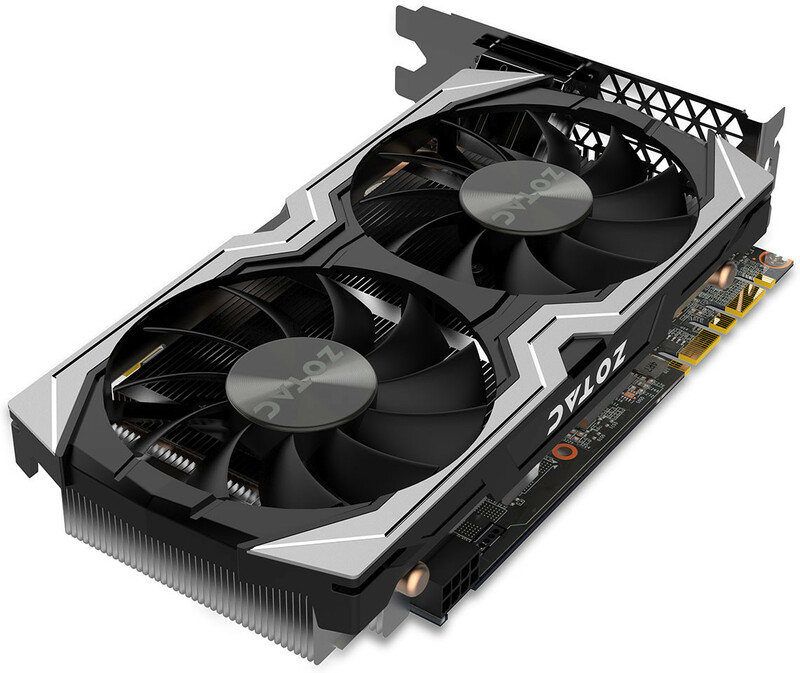 Zotac today unveiled its shorter-length GeForce GTX 1070 Mini graphics card (model: ZT-P10700G-10M). While this may not be the SFF-friendly 15 cm-ish card such as this one, it features a more compact PCB, and its overall length is 21 cm, down from the 30 cm of the dual-fan AMP! 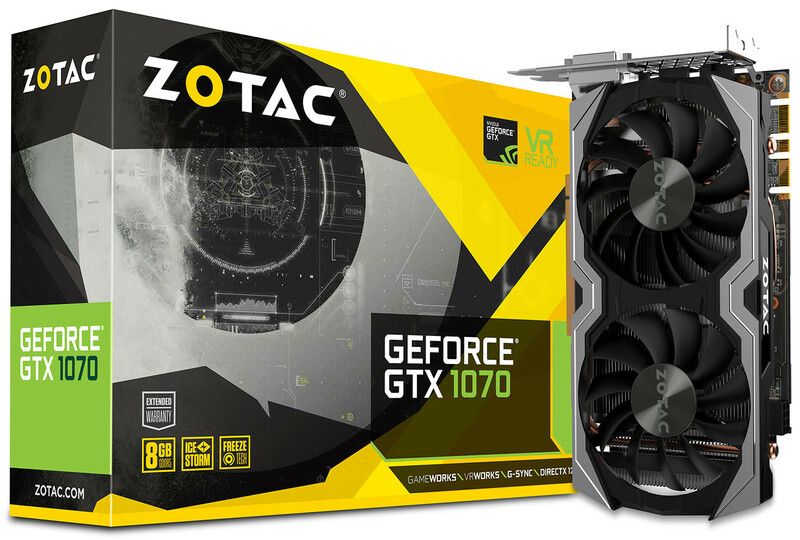 GTX 1070 card from the company. 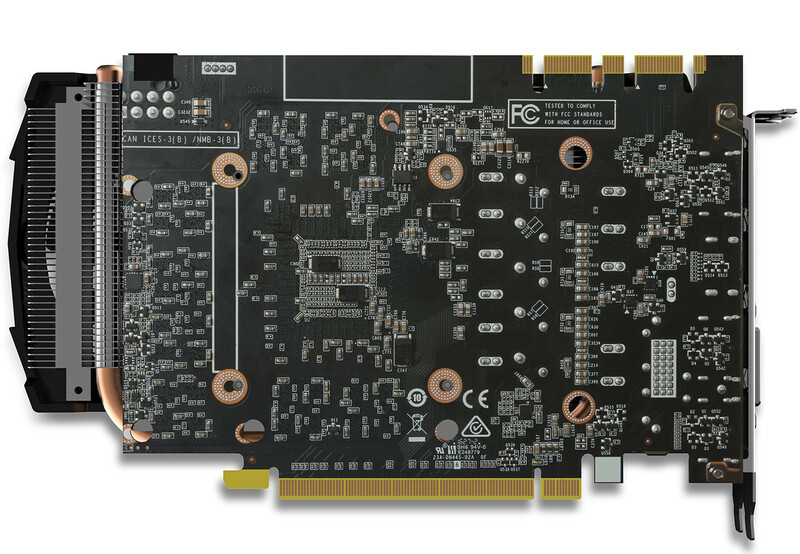 The card uses a new custom-design PCB that's about 17 cm in length, strapped onto a cooling solution longer than itself. This dual fan cooler is the same one featured on the company's GTX 1060 AMP! graphics card. 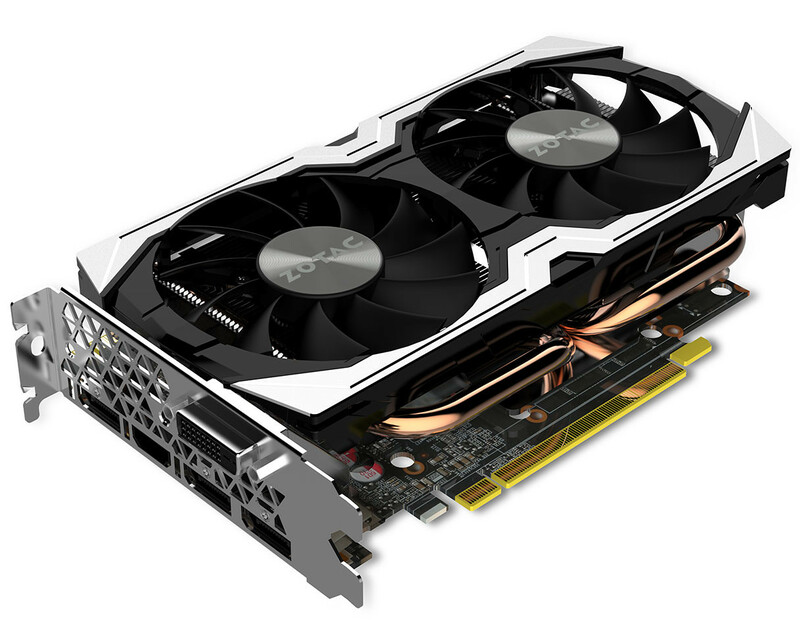 The cooling solution features a dense aluminium fin stack, to which heat drawn from the GPU is fed by a pair of 8 mm-thick copper heat pipes, which make direct contact with it; and which is ventilated by a pair of 80 mm fans. 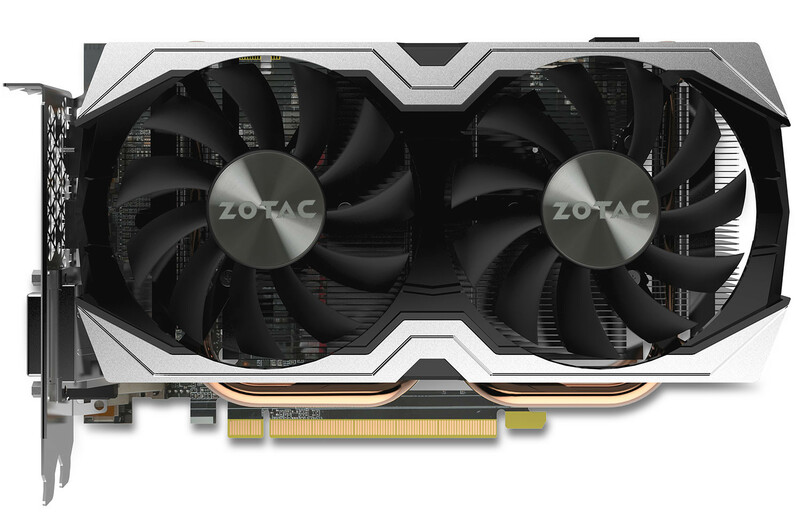 Unlike the other GTX 1070 cards from Zotac's lineup, this one draws power from a single 8-pin PCIe power connector. It sticks to NVIDIA-reference clock speeds of 1518 MHz core, 1708 MHz GPU Boost, and 8.00 GHz (GDDR5-effective) memory. Display outputs include three DisplayPort 1.4, and one each of HDMI 2.0b and dual-link DVI. This card is expected to be priced at $389. Some horrible renders look at the 3rd one. The screw holes lead into another dimension. I agree! Horrible renderings of the card. The screw holes lead to North Korea btw. I just bought this card about a week before this post. Arrives today. Its been out here in Europe for a little while. Cant wait to test it out. That's a baby tower ready card. Wonder if this will be compatible with the 670/760/970 water blocks. Seriously though, it's good to see that manufacturers are finally waking up to the fact that Pascal doesn't need stupidly huge coolers like Maxwell 2 and the Radeons. Small is beautiful. 11/10 for those PCB renders.